David has worked in the Central London development market since the early 1980’s. He was a founding Director of CO—RE, and has been Chief Executive since 2014. He has been responsible for a large number of planning consents and developments of significant Central London schemes. Projects in the City and West End include 10 Fenchurch Avenue, Watermark Place, LSQ London and 20 Ropemaker. David is President of the City Property Association and a Board Member of the London Property Alliance. He is a Fellow of the Royal Institution of Chartered Surveyors and a Fellow of the Royal Society of Arts. Bradley is the director at CO—RE specialising in London occupiers and their design requirements, scheme branding and leasing. Bradley has worked in the central London office market for over 30 years. He was made an equity partner at Knight Frank in 1999, and founded and headed the central London tenant representation team. He has an intimate knowledge of what occupiers need, having advised major organisations on some of London’s largest office deals, including Estée Lauder’s HQ at 1 Fitzroy Place, Swiss Re's acquisition of The Gherkin, Guardian Media Group’s headquarters at King’s Cross and M&G’s offices at 10 Fenchurch Avenue. Bradley was voted ‘Dealmaker of the Year’ in 2014 by the readers of CoStar. David has over 20 years’ experience in the property industry. Having joined CO—RE in 2005, he became an equity director in 2010. David is recognised for the delivery of high-quality commercial and mixed-use schemes across London and has been directly responsible for over 2.5 million sq ft of prime developments across the capital with an investment value in excess of £2.5bn. Examples include One Angel Lane, Finsbury Circus House, 6 Bevis Marks, 101 New Cavendish Street and the planning consent for the Clarges Estate. David is currently project director for Bureau, which has just achieved practical completion. As a specialist London developer, David’s focus is to formulate and implement strategies to maximise value through planning, refurbishment, development, market repositioning and leasing. 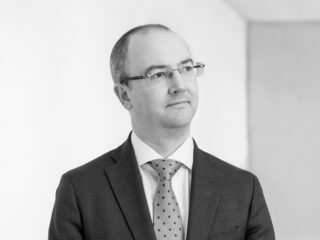 Julian started his career working for a building contractor, then for major UK fund Aviva, before joining one of the UK’s leading developers, Greycoat, in the 1980s. In 2000, he joined CO—RE as a director, where he has been instrumental in assembling its impressive portfolio of projects within central London. 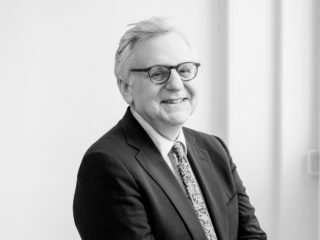 Throughout his career, Julian has specialised in the design, procurement and delivery of major office and residential developments of varying size and complexity including Finsbury Circus House, Moor House, Watermark Place and 20 Gresham Street. Julian has served on the British Council for Offices, where he was co-author of the first edition of the BCO Guide to Specification. 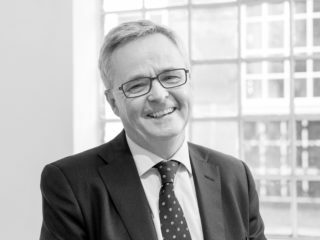 He has also represented the British Property Federation for a decade on the Joint Contracts Tribunal and chaired the formation of the Major Projects Form and the Pre-construction Services Agreement. 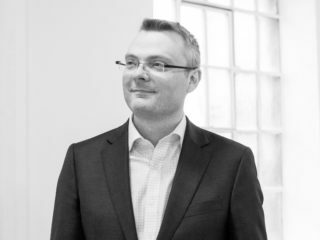 Stephen has over 15 years’ experience of the central London development market. He has worked on the development of LSQ London in Leicester Square and 33 Central, King William Street (now Wells Fargo’s HQ). 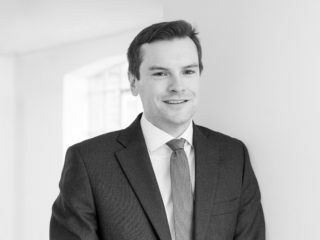 Stephen has extensive experience of enabling developments, including planning, securing third-party agreements, rights to light and neighbourly matters, for which he is responsible at 20 Ropemaker. He negotiated planning and enabled the refurbishment at 16 Old Bailey. 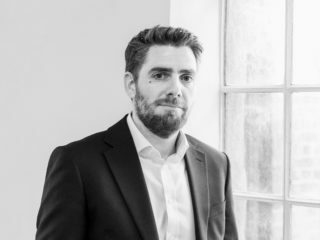 Luke joined the business in 2015, having spent 15 years working in the central London development market providing professional services, project management and development monitoring across commercial, residential and mixed-use sectors. Commercial projects include London Fruit & Wool Exchange, 23 Savile Row and 11-12 St James’s Square, luxury residential such as 88 St James’s Street, mixed-use Goodman’s Fields and student accommodation at 60 Commercial Road. Since joining, Luke has been responsible for the recent successful delivery of our flagship development at 10 Fenchurch Avenue and Bureau. Luke’s strengths are his attention to detail, understanding of the development process, and teamwork, with particular emphasis on design, procurement and construction. Chris joined Greycoat from Taylor Woodrow in 1982, with initial responsibility for the Finsbury Avenue developments in EC2. He was appointed to the board of directors in 1986 and became development director in 1992, responsible for the group’s development programme. 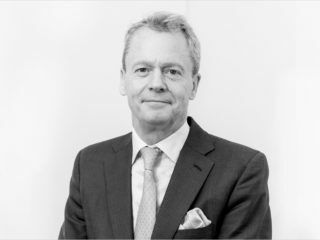 In 2000, Chris was a founding partner and the CEO of CO—RE, and has led the growth of the business ever since, delivering over 4.3 million sq ft net of prime central London offices. He has added value for clients by achieving a further 7.3 million sq ft net of planning consents for a mix of office, retail, residential and hotel projects. In 2015, Chris became non-executive chairman of CO—RE, having previously held the chair of the Peabody Trust. Ed joined CO—RE in September 2018, having spent the previous eight years at Second London Wall acting as project manager and employer’s agent on various central London developments. His project experience includes 5 & 6 St James’s Square, One Bedford Avenue, 1-9 Seymour Street and One Bartholomew Close. Dave brings to CO—RE and its clients an extensive breadth and depth of construction experience, gained from working in the industry for 40 years. Dave has worked on a significant number and range of complex projects, from large office developments, shopping centres and medical facilities, to hotels, specialist manufacturing plants and high-value residential developments, undertaken under a range of procurement arrangements. He previously worked for the Costain Group, where as a board director he was responsible for their regional contracting activities. More recently, he was a director of Skanska UK with specific responsibility for their major projects in London. At CO—RE, Dave has worked on the delivery of Watermark Place, a 500,000 sq ft speculative office development. 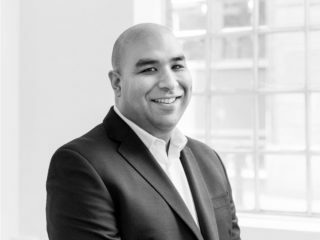 Harmeet joined CO—RE in June 2014 as the financial controller and has since been actively involved in numerous development projects as part of our team. Prior to joining CO–RE, Harmeet worked as a senior accountant at a boutique central London accountancy firm. 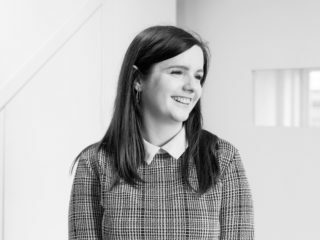 Siobhan facilitates the smooth running of the CO—RE office, organising all of our administrative activities. She joined CO—RE in June 2016, where her ten years of secretarial and office administration experience have proved invaluable in co-ordinating the executive management team.